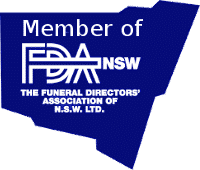 W Larcombe & Son | Dubbo Funerals, Cremations and Monuments – Committed to providing superior care, service and support to Dubbo and the wider community in times of loss. Iconic historical venue for Weddings, Funerals, Memorials & Ceremonies. Bouquets, wreaths, baskets and bunches – we can create stunning arrangements for any occasion. W Larcombe & Son Funerals are committed to providing superior care, service and support to Dubbo and the wider community in times of loss. Owned and operated by Paul & Barbara Carter, W Larcombe & Son Funerals understand that families require flexibility in making decisions about funerals and our professional services and fees reflect this. From the simplest service to the most complex, we are able to assist families with professionalism and quality. As a full service funeral provider, we are able to assist you with every aspect of the funeral to make it unique and designed for your exact requirements. We focus on providing the finest quality products and services, including coffins, caskets, urns, flowers and vehicles. The ceremony to honour your loved one could be a traditional funeral service, or as unique as your loved one – there are many different ways to celebrate the life and love you shared and there are many choices. With care, knowledge, and insightful guidance, our purpose here at W Larcombe & Son Funerals, is to help families and consider all their needs – personal, economic and religious.